Gerry Carthy was born in County Mayo, on the West Coast of Ireland. He plays a variety of instruments including banjo, guitar, tenor guitar, tin whistle, saxophone, fiddle, mandolin, bouzouki, and vocals. Inspired by the folk revival of Irish music in the '60s and '70s, he spent 10 years playing music at sessions around Galway. 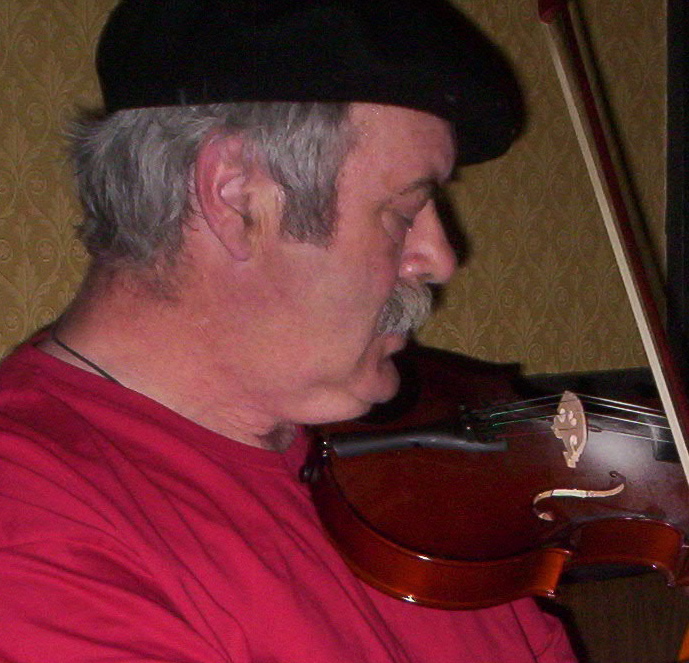 Gerry is one of the founding members of the traditional Irish session at the Crane Bar, which recently celebrated its 25th anniversary - the longest running session in Galway. He holds two degrees from the University College Galway: one in English, French, and German, and the other in Teaching Education. Gerry now lives in Santa Fe, New Mexico with his son, Michael. He carries on the Tradition both through teaching and performances. He was on faculty of the Music Department at the College of Santa Fe for 15 years, where he taught classes and private lessons on tin whistle, tenor banjo, guitar, and Celtic Ensemble. In addition, Gerry is an Artist in Residence with the New Mexico Folk Arts and has taught tin whistle and Irish language at Santa Fe Community College. He performs at Celtic festivals around the United States and plays regularly in the Santa Fe region. "If your favorite uncle were a virtuoso musician, a true gentleman and a wickedly funny story teller..his name would be Gerry Carthy. Trust me...book him - you will be glad you did and so will your audience!" "For all of you who were around Galway in the late '70s early '80s and who remember the wildness and the loveliness and all the great times - here's Gerry Carthy..."